Everyone always goes on about all the awesome reasons you should move to Australia – the sandy white beaches, friendly people, land of opportunity, blah blah blah. We know all that, right? That’s why you ended up here on my blog! 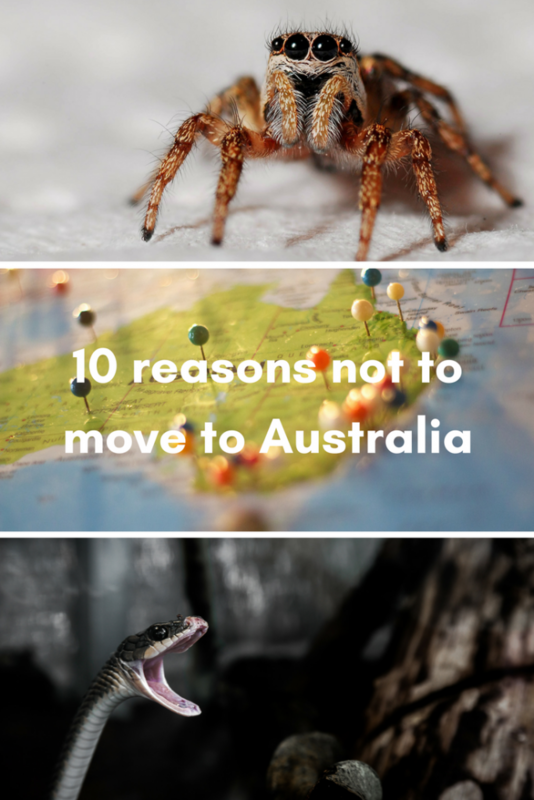 But I thought I’d turn it around and see if you’re really prepared to make the move and live in Australia, so here are 10 reasons NOT to move to Australia. Australia is home to the top 10 most venomous snakes in the world. Not a few of – ALL of the top 10. These guys make the black mamba look like a sweet little kitty cat. And the best part is, you’ll have no idea which snake is which! There are tons of different snakes here and some of them look very similar. If you’re moving here, make sure you get to know your dugites from your mulgas (check out Australia’s 10 most dangerous snakes here) and all will be well. 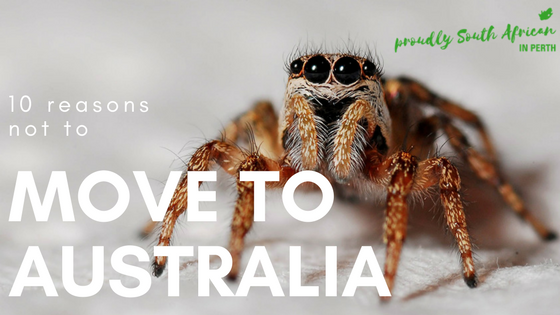 Everyone knows Australia has tons of spiders – and not just small ones. Bloody big ones. Ones that aren’t afraid of you and won’t hesitate to jump around either. Check out some videos of huntsman spiders in actions – it’s enough to give you nightmares for months! OK so we get jellyfish in South Africa, but not on a scale like in Australia. In the top end of Australia, they have the teeny tiny box jellyfish. These little suckers have enough venom in them to kill more than 50 adult humans. Not deadly enough? The Irukandji jellyfish grows to around 1cm in length (so it’s practically invisible in the water) and its venom delivers more punch than a cobra’s! If you’ve ever seen Crocodile Dundee or the late great Steve Irwin in action, you’ll know all about crocs in Oz. You get freshies (freshwater crocodiles) and salties (salt water crocodiles). Freshies are not known to attack humans, but goodness me the salties do! So if you’re ever anywhere rural and there are signs warning you about crocs in the area – pay frickin’ attention if you don’t want to meet a grisly end. Less scary than crocs, but not to be underestimated, dingoes are Australia’s somewhat tamer equivalent of Africa’s lion. Usually confined to more rural areas, you are unlikely to stumble across one; however I did once drive home and a dingo walked straight across my garden and went on its merry way! 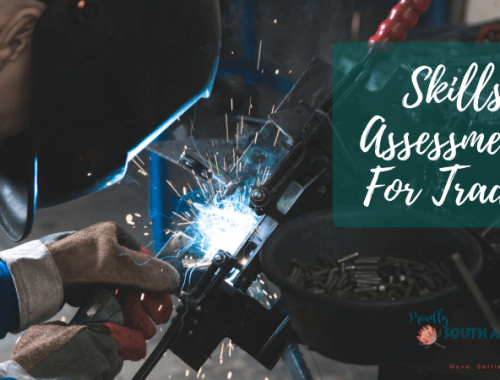 I sat in my car in total shock (we live in the suburbs!) and called a friend at the council and she said some people have them as pets! WTF! This one is simple. Don’t go in the sea, and you’ll be right as the Aussies say. But seriously, you came here to probably live near the beach, so of course you will want to swim in the ocean. No escaping these dudes then – especially if you’re a diver. Hands down THE most ANNOYING creature in Australia. Flies are a total pain in the backside and come spring and summer, those stupid looking Aussie hats with the corks dangling off them won’t seem like such a bad idea! If you go bush walking, you’re likely to come across these little f***ers. Not just any ticks we’ve got here – noooo – we have 75 different types of ticks, one of which is the paralysis tick. It injects neurotoxins into its prey (that’s you) and causes paralysis. Bites on humans and animals are common. Luckily for us Perthies, they’re only found along the coastal areas of the eastern side of Australia! Depending where you are in Australia, you’ll most likely experience extreme weather of some sort. Summer bush fires are common across the country, and the more rural you live, the higher the chance you’ll come pretty close to a bush fire. The Aussies talk about being ‘bush fire ready’, so have a bush fire survival plan of how you would escape your home should you be required to evacuate. Not as much an issue in the west as the east, but storms and flooding happen more often than you probably imagine here in Australia. Cyclones and storms are quite common along the east coast of the country. So much so, they even have cyclone manuals and guidelines for what to do if one hits! 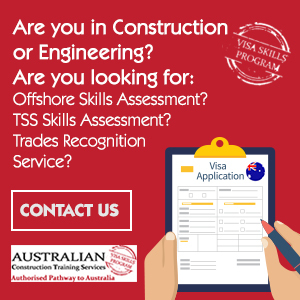 Do You Still Want To Move To Australia? Having said all that – the chances of encountering any of these terrifying creatures or extreme weathers on a daily basis is extremely unlikely! I’ve seen a handful of snakes in the 4+ years we’ve lived in Perth, and that’s a whole heap more than most people I know who’ve lived in Australia their whole lives. Yes you’ll definitely see spiders, but even they aren’t everywhere, and if you get your house and perimeter fence sprayed every year or 6 months, they will rarely come in the house (OK maybe not in Queensland where there seem to be gigantic spiders everywhere – anyone in Queensland please let me know in the comments how common your creepy crawlies really are). But when you look at the bigger picture, these things are insignificant compared to what else Australia has to offer. Sure it’s got its problems – crime does exist, the politicians are insufferable and the time difference from Africa, Europe and the Americas makes it hard to communicate with anyone living there. But would I change where I live? Not for all the tea in China! 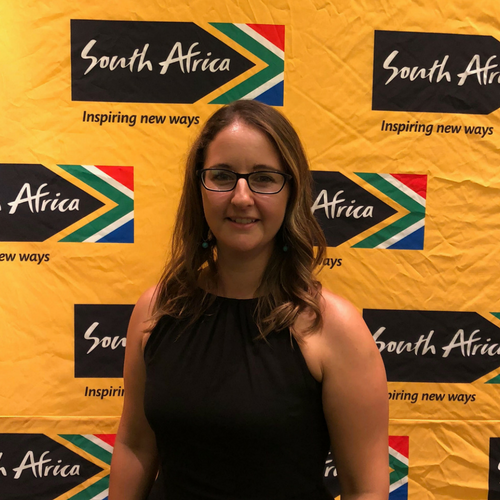 If you’re still keen to more to Australia, read my post which shares 50 things you need to know before you migrate to Australia. I completely agree about the flies!!! And you’re right that the snakes are pretty rare. I reckon I’ve seen three in my lifetime. I won’t mind if I never see another one! We’ve seen four in two years 🙂 I think some people just don’t pay attention and walk straight past them without noticing.